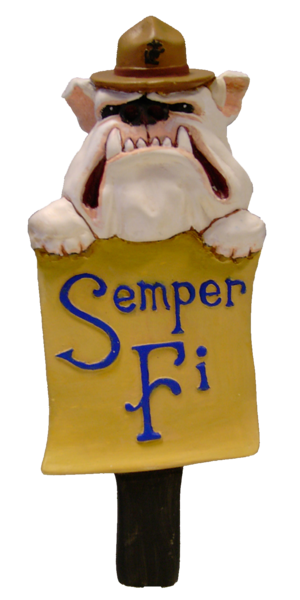 Bulldog Marine Beer Tap Handle - Sculpture Concepts, Inc.
Semper Fi! This awesome bulldog marine beer tap handle will be the best gift for the marine in your life! The handle is a perfect addition to any home brewing system and stands 9″ tall.